More info see Compatible Vehicles PDF below. *AD900 key programmer and ZED Bull Key Programmer can do car key matching.Copy car key without password, but need the original key. Q: Can SBB match Australia Ford Falcon and Holden Commodores? A: Yes, it can do the cars. Q: Does the SBB have old connectors in the package? A: No, there does not. SBB is connected to the car via OBD2 cable. Q: If the SBB can be update and how to do this? A: It can not be update now and once there comes the update information, we will release it on the website. Q: What types of cars can this product programming? A: Please check the PDF files on the website and there is the detailed information of it. 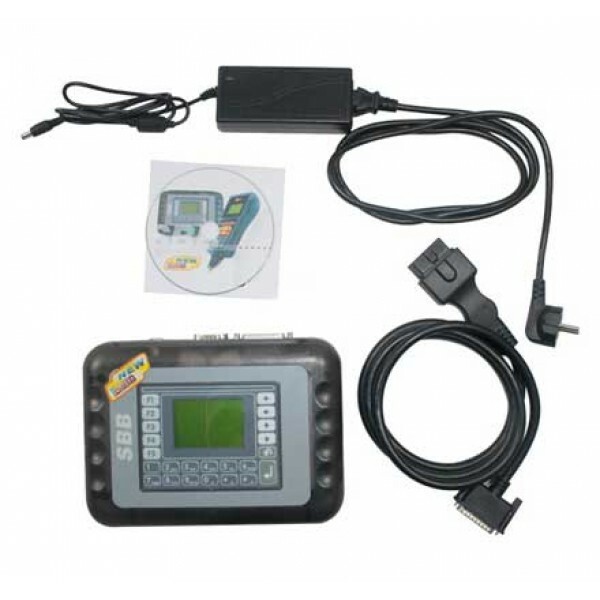 Moreover, the SBB can do more new cars than others and it is a universal car key programming tool. -SBB copies chip according to car model, while AD900 does according to chip model. -SBB can still make key even if all of keys lost, because SBB interface is to insert into the OBD diagnostic seat to read chip data; AD900 can write the chip of an old key into a new key or empty key. -And SBB can read immobilizer pin code as MVP and T300 do, while AD900 can not read immobilizer pin code, AD900 can directly copy and duplicate keys.